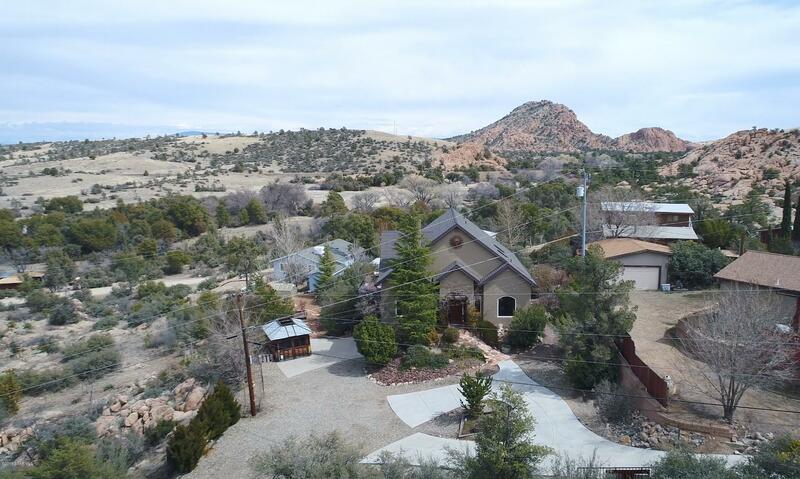 All Granite Gardens homes currently listed for sale in Prescott as of 04/22/2019 are shown below. You can change the search criteria at any time by pressing the 'Change Search' button below. "Unique and special, just like you! Incredible natural surroundings, an eco-conscious build with high efficiency construction (R factor 36) and artistic selections throughout. Pick up your jaw after entering the great room with vaulted ceilings and a wall of windows framing the views of the dells and beyond. Enjoy the copper accented Regency Warm Hearth fireplace system and wood look tile flooring. Restful sleep from this quiet location with views from your master bedroom. Master bath with d"
"Who hasn't dreamed of owning a Cabin in the Dells? 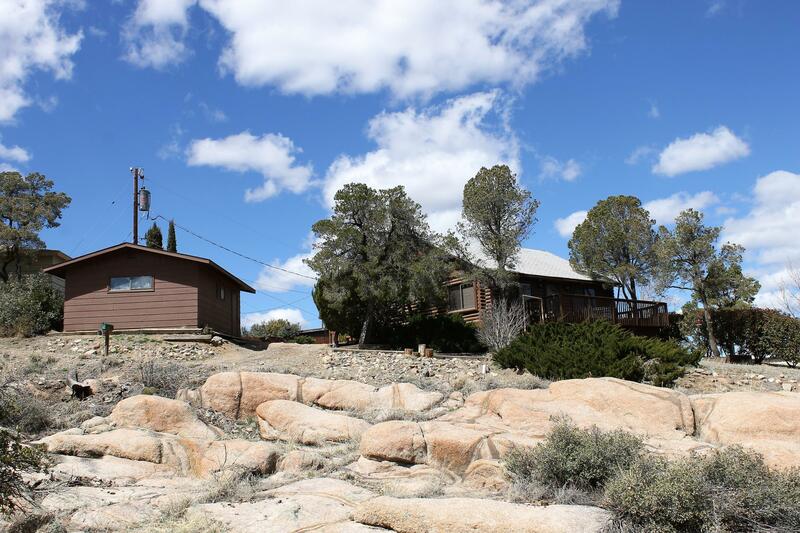 How about a 3 bedroom 2 full bath 2 car garage Cabin with forever views of Granite Dells off the Deck . This 1957 Log Home is 1475 sqft. Summer Vacation or Winter get away Paradise. Within walking distance to the famous Peavine View Trail. There is an additional 300+ sqft. of living space in the enclosed back patio with wood stove heating built prior to 1997. Native species means very little yard maintenance and the Big Sky Big Granite views are"